What made you want to work in the beauty industry? I wanted to work in the hair/beauty industry to be able to give my creativity back to all our guests. It is such a sense of satisfaction and achievement to make them feel good about themselves, inside and out. Nothing is better than seeing guests walk out full of smiles, confident and on trend! Please describe your business to our readers. Clientele: Our clientele ranges from young creative individuals, all the way to corporate professionals. All of our clientele are very special to us. What was it that motivated you to introduce CACI treatments to your business? We wanted to provide our guests with a leading treatment brand that really works and gives ultimate treatment results. The CACI treatment results are seen both instantly and over a period of time, the treatment benefits are truly amazing and long lasting. Because our ethos is organic and naturally derived, we chose a brand which gives our guests non-surgical and non-invasive treatments. We believe this to be far safer and healthier for our guests. What has been the impact of offering CACI at your business? Our clientele has certainly increased. We have had many new clients come in for CACI facials as well as our current clientele snatching up at the opportunity to have CACI. 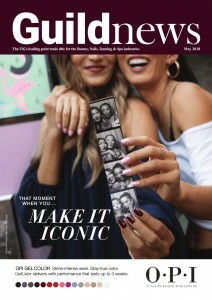 The CACI treatment has attracted an unrivalled celebrity following that has created a fantastic vibe within the salon as well — bringing hair and beauty together as one. Many of our hair guests are using CACI and the same vice versa. The relationship which we have with our clients as well has become no much more personal and intimate; clients are guaranteed a warm and welcome environment. Tell us about one of your most memorable client’s skin journeys with CACI. We had a guest who was in remission from cancer. Her self-confidence was low as a result of her treatments. The client had deep wrinkles in her forehead and problematic skin. 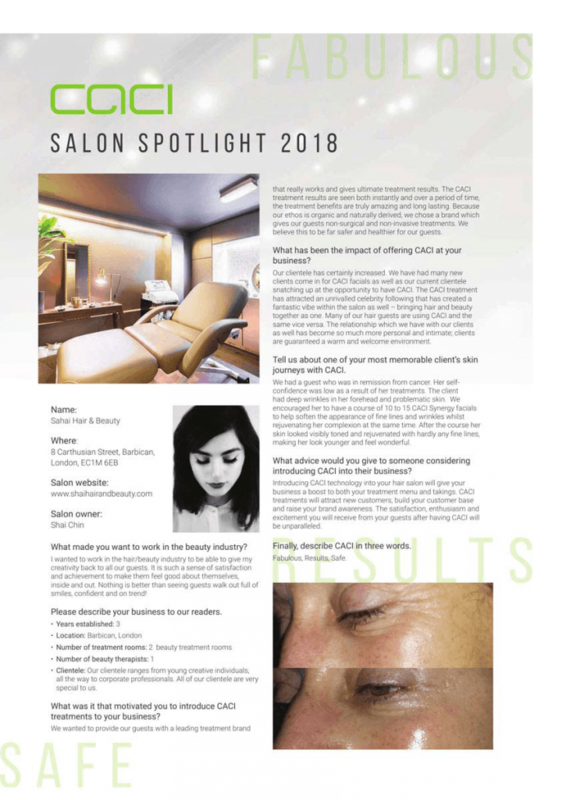 We encouraged her to have a course of 10 to 15 CACI Synergy facials to help soften the appearance of fine lines and wrinkles whilst rejuvenating her complexion at the same time. After the course her skin looked visibly toned and rejuvenated with hardly any fine lines, making her look younger and feel wonderful. What advice would you give to someone considering introducing CACI into their business? Introducing CACI technology into your hair salon will give your business a boost to both your treatment menu and takings. CACI treatments will attract new customers, build your customer base and raise your brand awareness. The satisfaction, enthusiasm and excitement you will receive from your guests after having CACI will be unparalleled. Finally, describe CACI in three words.